Although the economy is slowly showing signs of improvement, it is clear that not for everyone the situation has been so beneficial. There are still many people who can not afford a new car. What to do in this situation? How to get a new means of transportation? Clearly, the best available option is to buy a used car with good reliability and reputation. That's why KBB.com published a list with the ten best cars that currently you can find on the market at a price lower than $8,000. In addition to their descriptions and highlights, I'll tell you where to find and buy the cheapest cars for sale of each one mentioned in this list. This is the newest vehicle in the list and which can still boast of its factory warranty. Although it was completely renovated in 2012, the 2008 model has great value in the subcompact segment. The Kia Rio is half brother of the Hyundai Accent since they share the same chassis platform, and the dashboard is also similar but not identical. In general is a good brand that will not give you problems and the maintenance is relatively low-cost. It is valued at $7,895. Cheapest Kia Rio 2008 for sale. This is the most affordable Rio '08 you can find at this moment. 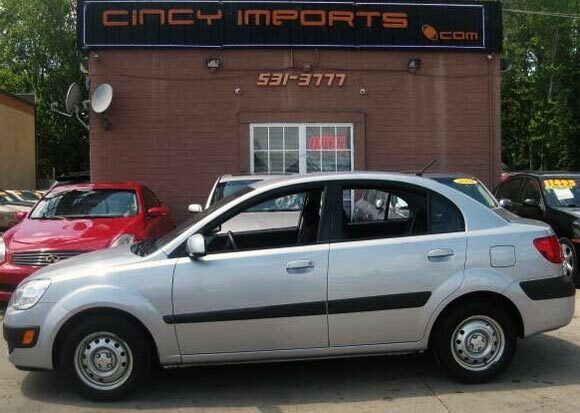 It has 104k miles and is offered in Loveland, Ohio by Cincy Imports car dealer. Price asking: $5,495. If you are interested, please give them a phone call at 888-296-8812 for more information. It is a large capacity sedan ideal for those seeking space both in the cabin of the car as in the trunk. It is one of the modern classics in the U.S. auto industry and could become a collector's item for most passionate fans now that it was discontinued. The Crown Victoria 2004 still preserves its class. It is valued at $7,970. 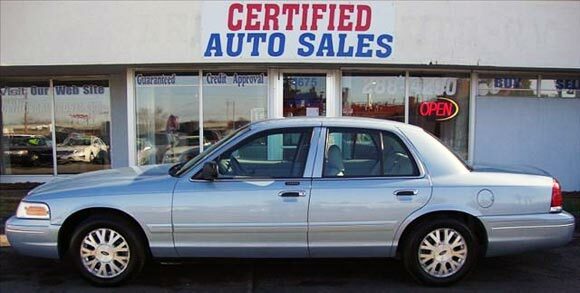 Cheapest Ford Crown Victoria 2004 for sale. This is the most affordable Crown Victoria '04 you can find at the moment of publishing this article. It has 137k miles and is offered in Des Moines, Iowa by Certified Auto Sales car dealer. Price asking: $3,995. If you are interested, please give them a phone call at 866-893-5983 for more information. This is a five-door station wagon that offers the classic fun style of Mazda's and also provides an excellent fuel economy with great utility for a small family. 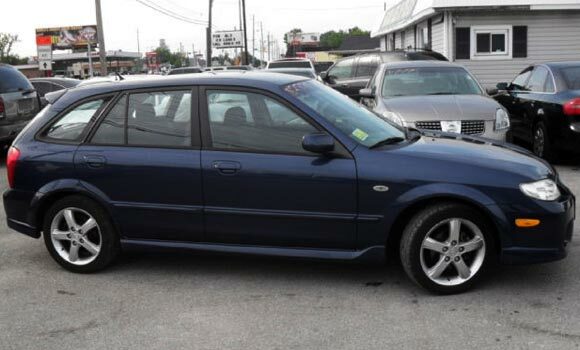 This Mazda Protege5 provides an attractive exterior design, very agile handling and a very good load capacity inside. It is valued at $7,360. Cheapest Mazda Protege5 2003 for sale. This is the most affordable Protege5 '03 you can find at the moment of publishing this article. It has 188k miles and is offered in Indianapolis, Indiana by Madison Auto Sales car dealer. Price asking: $3,495. If you are interested, please give them a phone call at 877-886-0678 for more information. The large heavy duty pickups segment has an excellent choice with the Tundra and the 2002 model came to this list thanks to its legendary durability, good handling and utility. This pickup truck boasts of being able to transport in its box up to 2,000 pounds of cargo and towing up to 5,000 pounds. The V8 engine provides all the power it needs for hard work. It is valued at $5,925. Cheapest Toyota Tundra 2002 for sale. 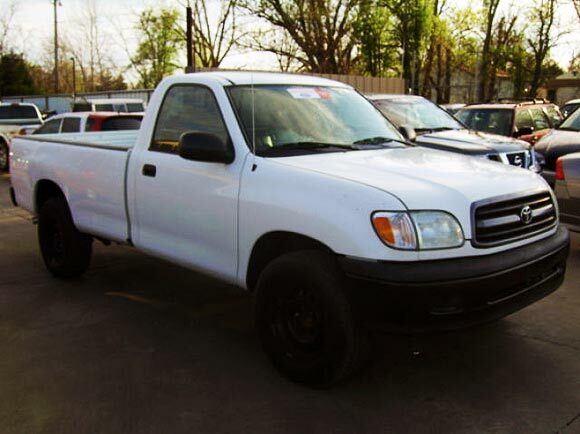 This is the most affordable Tundra '02 you can find at the moment of publishing this article. It has 247k miles and is offered in Oklahoma City, Oklahoma by A & G Auto Inc. car dealer. Price asking: $4,995. If you are interested, please give them a phone call at 888-699-2092 for more information. The famous SUV from the Ford house always offering a comfortable, easy and reliable handling, turning it into the one of the best selling models of its year. The Escape not only offers an excellent gas mileage, also high load capacity even being a compact SUV. The Ford Escape features meet your needs and also has a good score in respect to value. It is valued at $7,560. 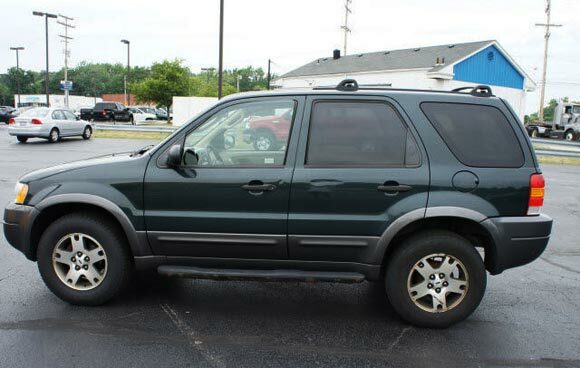 Cheapest Ford Escape 2003 for sale. This is the most affordable Escape '03 you can find at the moment of publishing this article. It has 207k miles and is offered in Westlake, Ohio by John Lance Ford car dealer. Price asking: $2,950. If you are interested, please give them a phone call at 888-859-3985 for more information. The division of the Toyota Scion was designed to attract young buyers with affordable prices and attractive models. The 2004 xA is an excellent example of this premise. As a used model, the xA can be found with a different number of factory-installed accessories, which increases its value in the market of used cars. In addition, this is a compact car extremely comfortable that offers a surprising handling and outstanding fuel economy. It is valued at $7,805. 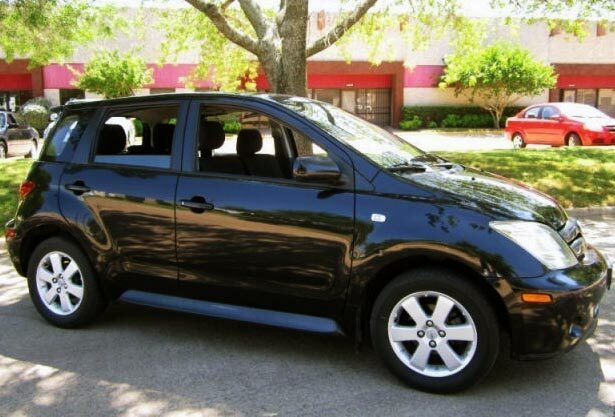 Cheapest Scion xA 2004 for sale. This black one is the most affordable xA '04 you can find at the moment of publishing this article. It has 141k miles and is offered in Dallas, Texas by Autonet car dealer. Price asking: $4,999. If you are interested, please give them a phone call at 888-406-8175 for more information. This model was launched at the time with the Toyota Matrix, and offers the convenience of a compact car with the utility of a wagon or SUV. The owners of this vehicle always show off its 4-cylinder engine which offers great fuel efficiency, besides its comfort. What is interesting about the Vibe is that satisfies the interests of those looking for vehicles in three different categories: sports car, sporty hatchback and a mini SUV of the crossover range, and thanks to that versatility it has become one of the best selling models of the brand. Its interior capacity and the flexibility to adjust their seats to give more or less room to the load being carried is amazing. It is valued at $7,630. 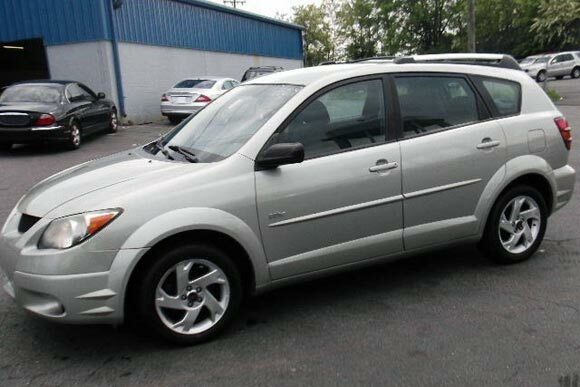 Cheapest Pontiac Vibe 2004 for sale. This silver one is the most affordable Vibe '04 you can find at the moment of publishing this article. It has 161k miles and is offered in New Castle, Delaware by Delaware Public Auto Auction. Price asking: $4,290. If you are interested, please give them a phone call at 888-515-6178 for more information. The Toyota Corolla was launched in 1987 and was sold until 2007. It always has been one of the best options in terms of price-quality is concerned, making it one of the most loved cars in history. Due to those values of reliability, comfort and utility for a low price, the model of 2002 has to be part of this list, although despite not being the most attractive car in the world. Among its advantages are the quality of its interiors and finishes, the price, its interior space which is very comfortable for back and forward legs and its engine that offers good recoveries. The space of its trunk is normal for any compact car. It is valued at $6,125. Cheapest Toyota Corolla 2002 for sale. 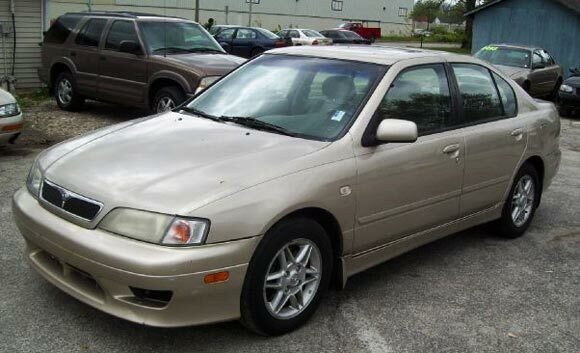 This silver one is the most affordable Corolla '02 you can find at the moment of publishing this article. 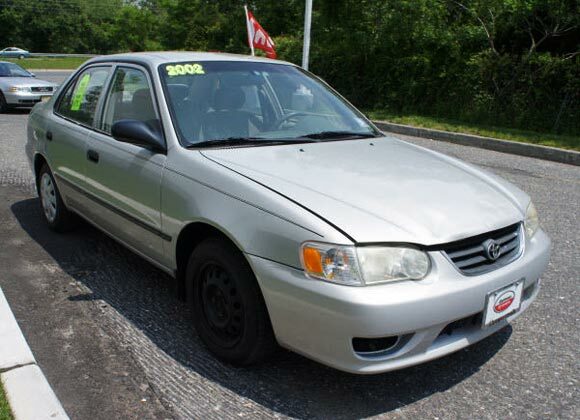 It has 176k miles and is offered in Toms River, New Jersey by Gateway Toyota car dealer. Price asking: $3,134. If you are interested, please give them a phone call at 877-354-2798 for more information. This is a deluxe edition of its sibling model, the Nissan Sentra. Although at the time of its release was qualified as a version only slightly better than the Sentra, the Infiniti G20 has increased its value 10 years later, thanks to its superior engineering and excellent handling, plus a sleeker design. The 2002 Infiniti G20 is one of the most resistant used cars which cause fewer problems over the years. Overall this is a very practical car with good scores for reliability and robustness, in addition to its efficiency and affordability. This Infiniti last a long time before breaking down. It is valued at $5,965. Cheapest Infiniti G20 2002 for sale. This gold one is the most affordable G20 '02 you can find at the moment of publishing this article. It has 133k miles and is offered in Indianapolis, Indiana by Quality Motors Inc. car dealer. Price asking: $2,995. If you are interested, please give them a phone call at 877-894-8481 for more information. The same value and reliability that keeps this model among the best-selling new cars, also qualifies it as one of the best used cars. If the Honda Civic was among the best-selling cars of its original year, it must be used cars among the best eight years later. The Civic 2004 in any version still has the same characteristics of reliability and low maintenance with high efficiency in fuel consumption. It is valued at $7,970. Cheapest Honda Civic 2004 for sale. This black one is the most affordable Civic '04 you can find at the moment of publishing this article. It has 189k miles, looks great and is offered in Jersey City, New Jersey by Car Depot Auto Sales. Price asking: $3,295. If you are interested, please give them a phone call at 866-416-3307 for more information. 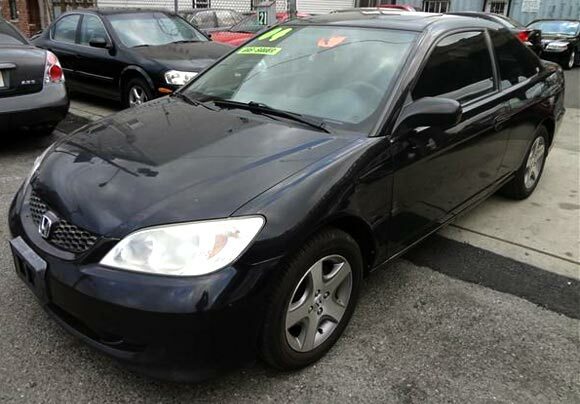 In conclusion, if you need a used car today and your budget is $8000 and around, do not hesitate to buy a used Honda Civic 2004 for less than this price.